Don't have a smart phone and using HUB for timekeeping? No problem. - Make sure your cell phone number is in your HUB profile. 2) Click on your initials in the top right corner of the HUB portal. 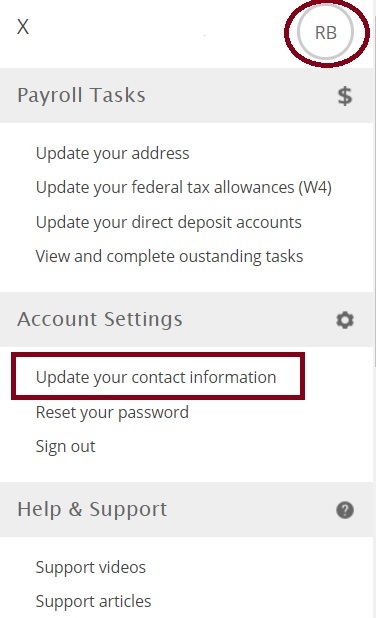 From the drop down menu select 'Update your contact information' and edit/confirm your cell phone number. Click update Cell Phone. 3) Text CLOCK xxxx (xxxx = HUB Client ID) to 970-497-2323. 4) A confirmation text message will be sent to the your cell phone number confirming the clock in/out punch.